Atul Pathak, Managing Director of Appt Corporation and franchisee of 20 McDonald’s restaurants, was presented with the prestigious ‘Social Entrepreneur of the Year’ award at the GG2 Leadership Awards, which took place on Wednesday evening in central London. Launched in 1999, the GG2 Leadership Awards is the biggest celebration of ethnic minority talent in Britain, and also celebrates multiculturalism. The ceremony was attended by the Deputy Prime Minister, The Rt. Hon Nick Clegg MP, who delivered a keynote address on leadership, diversity and the important contribution of ethnic minority groups to British society. Atul Pathak has built a significant business portfolio since he arrived in the UK from India in 1984. In 2003, Atul became a McDonald’s franchisee and established his first restaurant in Southall. Today, he runs a twenty-strong, and growing, restaurant group across north and north west London and employs over 1,500 people. Atul believes that his staff and customers are the bedrock of his business and this has led him to take a hands on approach when it comes to the training and development of his staff; as well as being a customer facing and community focused business owner, which has earned him respect from police officers, school teachers, charities and community leaders in the areas where his restaurants operate. Despite tough economic conditions, Atul has been able to continue employing people, boosting his workforce from 1,300 to over 1,500 in the past 12 months. In addition, Atul has recently launched a £300,000 state-of-the-art training facility for his staff which enables them to obtain nationally recognised qualifications including a Level 2 Apprenticeship in Multi-Skilled Hospitality. The apprenticeship recognises job-specific skills acquired through workplace training, combined with GCSE equivalent Maths and English. The facility is also an accredited examination centre where staff can sit exams on-site in the presence of qualified invigilators. In the past 12 months, over 30 employees have successfully completed an apprenticeship and over 80 have gained GCSE equivalent qualifications. Atul believes that running a business and being socially responsible are inextricably linked and dedicates a significant amount of his personal time to community and charity groups which support the education and development of young and vulnerable people, foster community cohesion and enhance the local environment. Speaking about his award, Atul Pathak said: "I am extremely honoured to receive this award, which would not have been possible without my team of 1,500 employees who are ambassadors for my work ethic and values, providing the best level of customer care to the thousands of customers that we serve across my 20 McDonald’s restaurants each day." He added: "One of most rewarding aspects of being an entrepreneur is that I am able to realise my vision through my business and, importantly, am able to help others achieve their own success by providing a vehicle for their development." - Atul Pathak is the Managing Director of Appt Corporation, which owns and operates 20 McDonald’s restaurants and employs over 1,500 people. 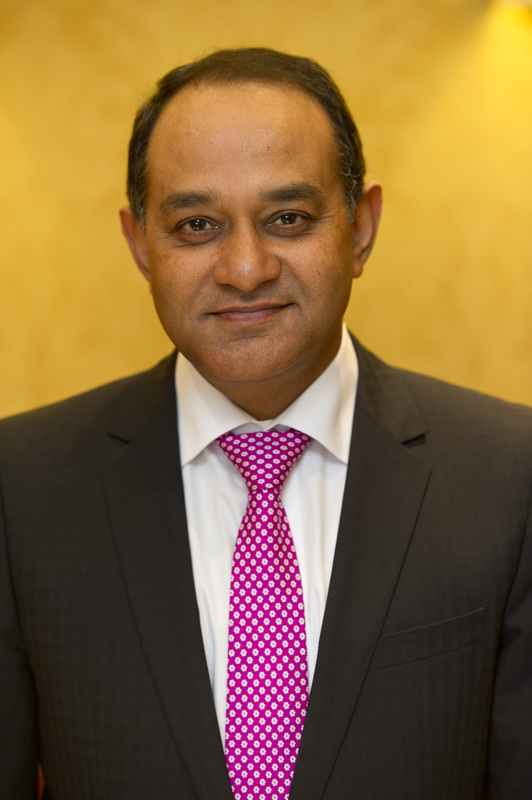 - Prior to establishing himself in the UK, Atul gained a BA Hons. in Economics, Geography and English from Panjab University, India. - The suite of qualifications also available at Atul's staff training centre includes Basic and Advanced Shift Management, making it possible for staff to gain a Level 3 Diploma in Shift Management, which is nationally recognised on the Qualification and Credit Framework. - Aspiring managers can enrol on the Management Development Programme which has been accredited as a nationally recognised qualification equivalent to an A-level. - The service and hospitality sector is one of the biggest employers in the UK economy - over 1.9 million people are employed by the hospitality and tourism sector alone. - Sitting on the judging panel for the awards were; Yasmin Jetha, Chief Information Officer of Bupa; Barry Gardiner MP; Ramniklal Solanki CBE, Editor-in-chief at Asian Media & Marketing Group; The Honourable Angad Paul, Chief Executive Officer at Caparo Group; Peter Preston, former editor at The Guardian; and Terry Mansfield CBE, Director of Hearst Corporation. This press release was distributed by ResponseSource Press Release Wire on behalf of Bright Star Public Relations in the following categories: Food & Drink, Business & Finance, Education & Human Resources, for more information visit https://pressreleasewire.responsesource.com/about.